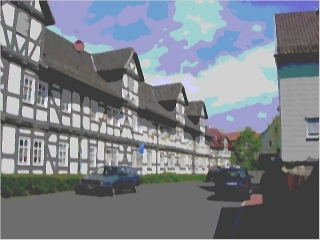 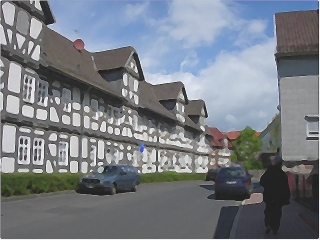 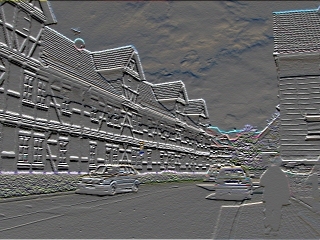 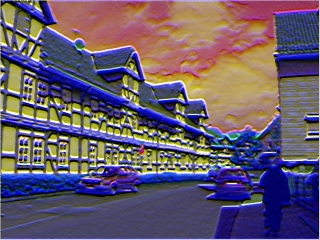 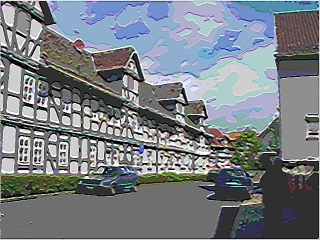 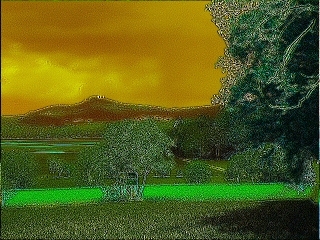 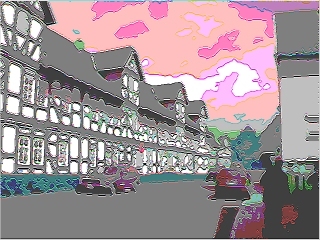 These images were produced with various filters in Revolution. The "Imagedata Toolkit" can now (version 2, Dec. 2006) be downloaded from here (8 MB zipped). 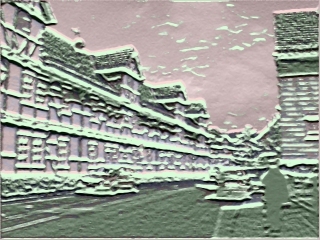 Many of the filters them are adapted filters in 3X3 to 9X9 matrix format, others had to be scripted from scratch (like the Kuwahara filter) for Revolution, a number of created filters were transferred from my Colorpattern Toolkit and adapted to the handling of imagedata. 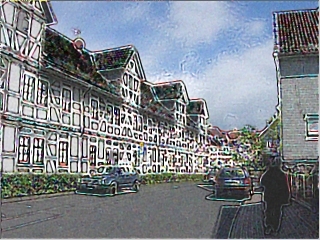 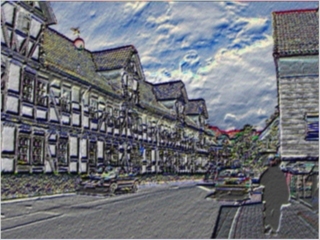 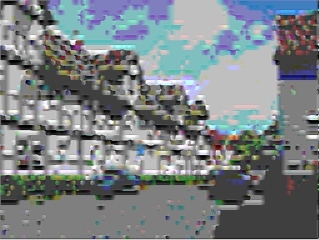 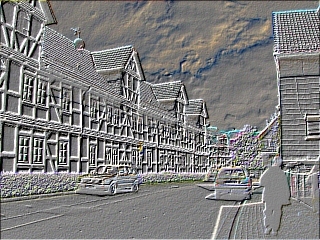 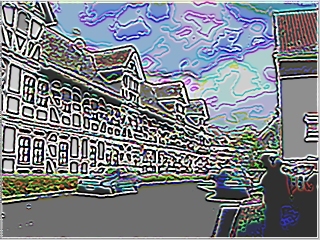 There are also many filters not shown here that make extensive use of mirroring, enlarging, decreasing, stretching, duplicating parts of images and many forms of color change.